Area Science Park (EURAXESS Centre) and University of Camerino (EURAXESS Centre). 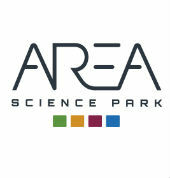 Area Science Park is a national research body and runs the prestigious multi-sector Science and Technology Park. It operates since 1978 for the development of the economic system, the exploitation of research results and the creation of startups. With its three campuses, located in Trieste and Gorizia, about 90 R&D centres and companies and 2,600 employees, Area Science Park is one of the main Italian hubs of the European research and innovation network. Since 2004 Area manages the Scientific and Innovation System of Friuli Venezia Giulia region (SiS FVG) which aims at enhancing the attractiveness of researchers through support services, international fellowships programmes and at promoting career development policies that comply with the Charter and Code and the HR Strategy. 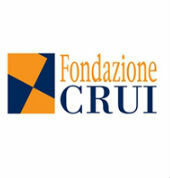 The CRUI Foundation was established in 2001 and is a non-profit organization that aims at contributing to the development of the Italian university system, through projects, studies, pilot actions and the organization of information events on issues relevant to the university system. Since its establishment the CRUI Foundation has operated side by side with the Conference of Italian University Rectors in managing activity directed towards achieving innovation in the national university system and bridging the gap between the university system, the private sector and society as a whole. Moreover, the CRUI Foundation has participated in European and international projects to give shape and carry out higher education-related actions all over the world. In the Euraxess network the CRUI Foundation is the Italian bridgehead organization. University of Camerino founded in 1336, the University of Camerino has five faculties: Architecture, Law, Pharmacy, Science and Technology, Veterinary Medicine. Organized and structured services allow students to study with profit at Unicam, short name of this ancient University, fully immersed in nature, history and art. The five Faculties offer Degree Courses of certified quality which respond well to the complexity and progress of the social and economic framework. The majority of study itineraries are designed on the basis of suggestions made by economic and professional staff. In particular, accordingly with its policy to increase international cooperation and to establish an international higher education network, Unicam offers a comprehensive range of programs, ranging from undergraduate courses to doctorate studies, especially designed for international students, with lectures in English. Since 2005, Unicam has also instituted an International School of Advanced Studies with the objective of increasing the participation of foreign students in its PhD programs. Foreign students will receive preferential treatment in the awarding of PhD student scholarships. UNICAM has also an important tradition in scientific research and a lot of innovative research programmes and activities. Since 2005, Unicam has adopted, like other Italian Universities, the European Charter for Researchers and a Code of Conduct for their Recruitment (signature took place in Camerino, July 7th 2005).